Wow, I had such an incredible “learning journey” to Khatichitra Village for a few days. I attended with 3 other teachers from Manav Sadhna. The village is located near Virpur in the mountains. 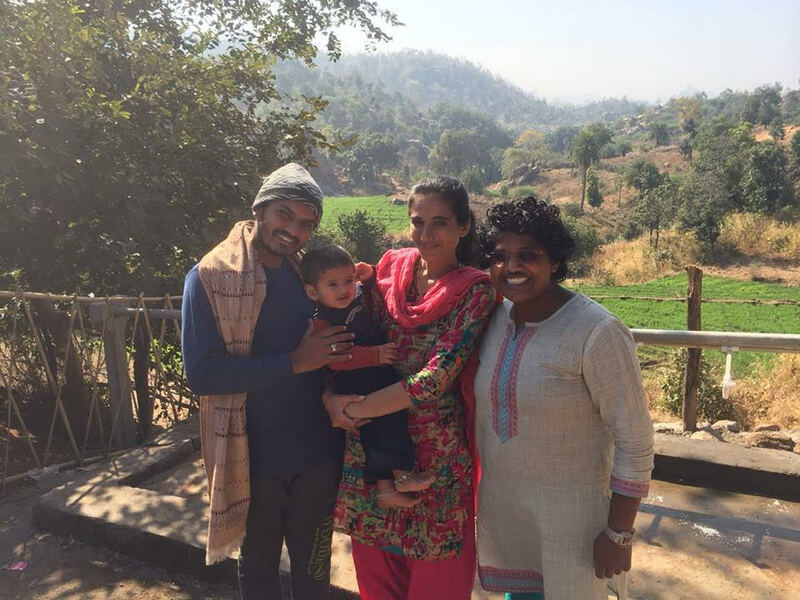 I was touched by Mustubhai's story of how he got to the village. After he received his Masters in Social Work, he wanted to find a village that needed the most help, provide resources, and education. He did the simple act of kindness of cutting people’s fingernails to build bridges with families. He saw that people didn’t have the proper government documents so he took it upon himself to help them get their own identification cards and other important papers. He started a youth hostel and the government school. The trip was one of the most insightful and humbling learning experiences in my life. There was quite a bit to comprehend about daily life in the village. There are about 25 students who stay at the hostel and mostly boys ranging from 5 to 12 years old. These children work so hard to earn their keep in the hostel. They search for wood to stoke the fire to cook meals with, they do the bulk of the cooking, maintain the grounds, chop up bamboo for the cows, on top of keeping up with their homework, maintaining their health and hygiene. The teachers and I walked about 3 km in the mountain to visit a few homes to see why some of the children aren’t attending school. The first home we came across the little girl has Downs Syndrome and is about 10 years old. She had never attended school before and was afraid to. I suggested to the parents that one of them could attend with her to get to know the kids and see what school is like. With no intervention programs or special education in place, I wonder how this little girl’s life will be. I suggested to Mustubhai to visit them and see what free resources there are for her to continue to live a happy life. We were struggling to walk on the rough terrain. I kept thinking how difficult it would be to hike these hills twice a day to attend school. 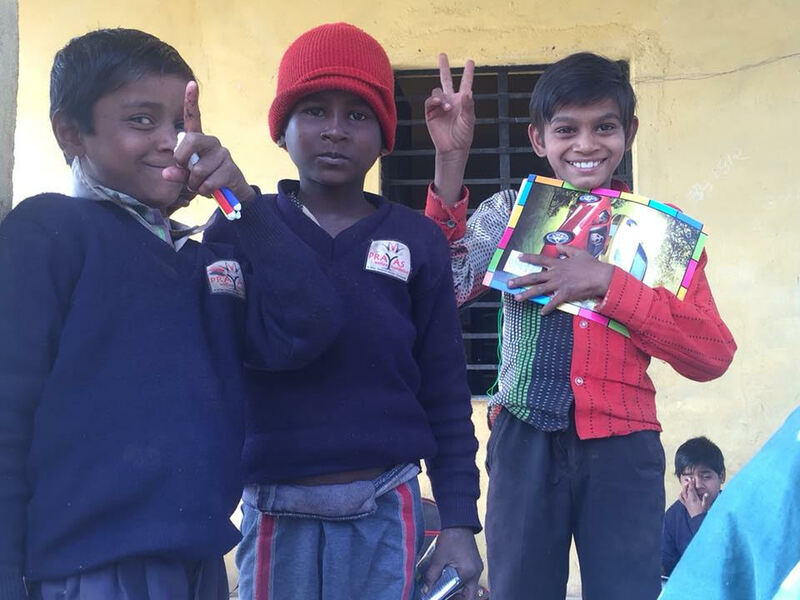 Going to school is a major challenge if they don't live close to the government school. I learned how the people handle conflict without an official court. The village holds a council and they hear both sides of a story from every party that may be involved. Then they decide as a council what the consequence(s) should be for the offender. I've learned the challenges of getting the basic medical and dental care. There are two women in the village that have the basic knowledge of birthing, so many women give birth at home with their help. I've learned how resourceful the people need to be to make bricks, bamboo roofs, cooking like camping which is the only way for them to make their food. 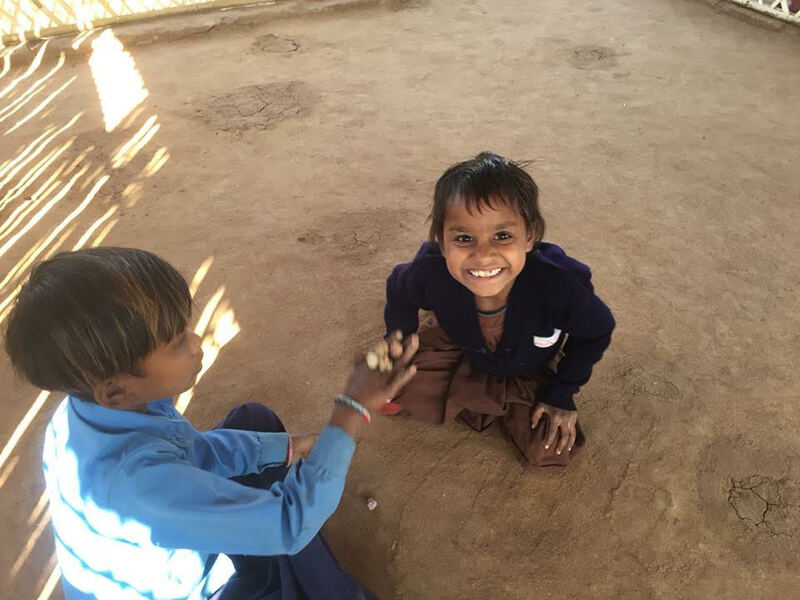 The teachers I went with struggled to understand the children and some of the people because they were speaking a different dialect of Gujarati. A previous volunteer provided solar panels to ensure that each home has access to electricity. Another fortunate amenity that we take for granted that the village has now is filtered water and water system to bathe and clean dishes with. People in the slums and in villages have to be so resilient. It's the only way for them to survive. I just can’t imagine living in a village however, people and children do and seem content. My heart is filled with gratitude for another amazing learning journey!